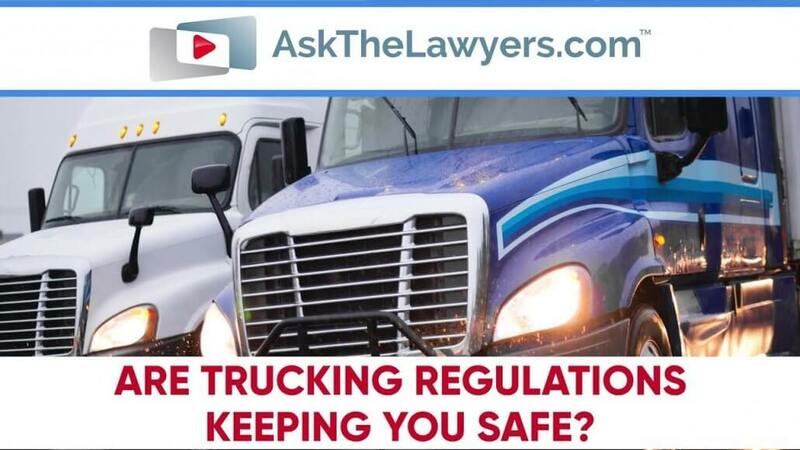 You are here: Home / Articles / Video Library / Practice Areas / Car and Truck Accidents / Are Trucking Regulations Keeping You Safe? More trucks are on the road now than ever in an economic boom and trucking regulations are being relaxed. Will this cause more accidents involving innocent passenger cars? 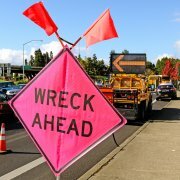 The truth is that it likely will, and therefore, it is even more important to know how to protect yourself if a truck accident happens. 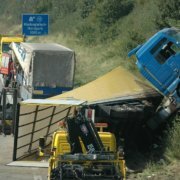 Indiana truck accident attorney Betsy Greene offers her insight. You can take a look at her profile to learn more about her expertise or reach out to Betsy directly at 888-365-4073. I’m Rob Rosenthal for AskTheLawyers.com and this is AskTheLawyers. These days there are more trucks on the road than ever before. With more trucks on the road, that means more accidents. And now, a new law that is being proposed has many people saying that number is only going to increase. The DRIVE SAFE Act was introduced in Congress earlier this year, and if enacted it would lower the minimum age to become an interstate truck driver from 21 to 18. Trucking companies say it is a way to solve a serious driver shortage. Others say it will put everyone on the road at a greater risk. Attorney Betsy Greene of Greene and Schultz Trial Lawyers in Indiana says, “Accidents involving big rigs and passenger vehicles are very different than those between two cars.” She says quote, “passenger cars for all their safety standards are simply not equipped to sufficiently protect people when involved in a truck accident due to the sheer size and weight of the respective vehicles.” She goes on to say, “this is why it is essential that state and federal regulations impose strict standards for trucking companies to reduce the overall number of accidents that occur on roads and highways. Delays or cost to trucking companies does not take precedence over public safety.” She also points out that the trucking companies have employees whose sole job it is to make sure they don’t seem at fault after an accident, and says the regulations governing interstate trucking are very complex. 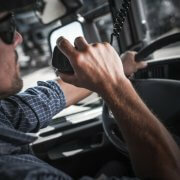 How To Protect Yourself In A Truck Accident What Does It Take for an Attorney to Win at Trial?